(1) year from the later of the date of purchase or the date of installation. This warranty covers properly installed or utilized Products, installed in vehicles as cataloged by the then applicable LUBER-FINER® product catalog (“Covered Products”). This warranty does not cover any Product that: a) has been subject to misuse, neglect, negligence, accident or casualty; b) has been improperly installed; c) has been installed into an engine which is not referenced as a conforming application by the then applicable LUBER-FINER® catalog; or d) has remained in service beyond the original equipment recommended change interval. Any Covered Product which is determined by Champion Laboratories, Inc. to be defective will be replaced at no charge. In the event of an engine or equipment failure directly caused by a Covered Product, Champion Laboratories, Inc. will provide the lesser of the: i) restoration of the engine or equipment to a condition equivalent to that existing just prior to the failure or ii) cash payment of the fair market value of the vehicle. TO THE FULLEST EXTENT ALLOWED UNDER APPLICABLE LAW, CHAMPION LABORATORIES, INC. DISCLAIMS ALL IMPLIED WARRANTIES AND CONDITIONS AND ANY AND ALL CONSEQUENTIAL, INCIDENTAL AND SPECIAL DAMAGES. Some jurisdictions do not permit the exclusion of such warranties or damages, so this disclaimer may not apply to you. You must cooperate with Champion Laboratories, lnc.’s claims management process. Please submit claims to Champion Laboratories, Inc. within 30 days after discovery of damage. 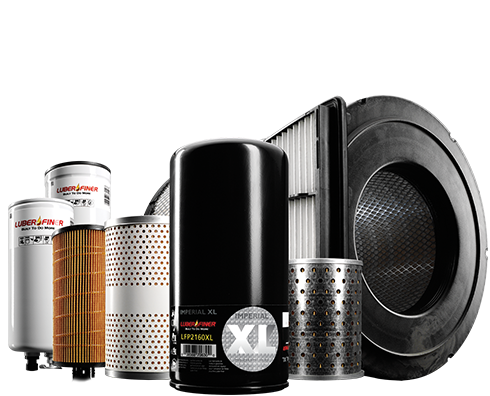 Champion Laboratories, Inc. reserves the right to examine the engine, equipment and filter to determine the amount of damage and whether such damage was caused by a defective Covered Product. Therefore,claimants must take steps necessary to preserve the engine and/or equipment and the filter during the claims investigation period. This warranty gives you specific legal rights. You may have other rights which vary from jurisdiction to jurisdiction. In the United States: Use of LUBER-FINER® products will not void your Original Equipment warranty. Commission that its product will not work properly without a specified item or service. To date, the FTC has not made any such determination for filtration products. If a manufacturer makes a claim that using a LUBER-FINER® product willvoid or has voided your warranty, ask the manufacturer to provide this statement in writing. Outside of the United States: LUBER-FINER® processes warranty claims on a world-wide basis. Check the terms of your Original Equipment warranty which may require the use of a specific brand of filter for a valid warranty claim and may limit or void the warranty as a result of the use or installation of other filters. Learn how to submit a filter claim.